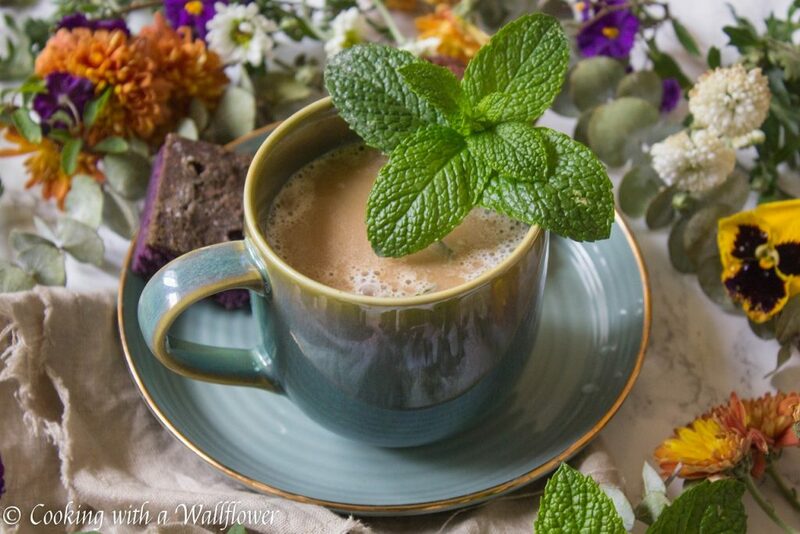 Mint steeped in almond milk and sweetened with maple syrup then topped with strongly brewed coffee. 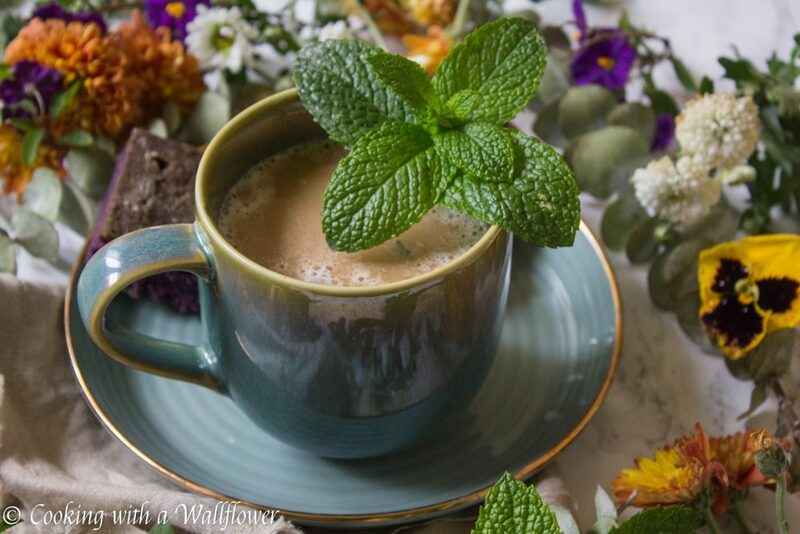 This mint mojito latte is refreshing and perfect for your morning pick me up. I hope you had a great weekend! Mine was relatively uneventful. We did try to surprise my cousin for her birthday, but it was a complete fail. Someone accidently spilled the beans the night before. Lol. But even when it’s uneventful, the weekend never ever feels long enough so I plan to share with you a Monday morning pick me up. You know, to get you through the Mondays, and the rest of the week. 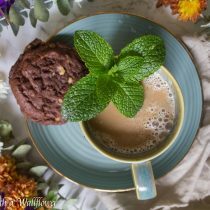 Have you ever had the mint mojito coffee at Philz Coffee? So many people rave about it. The coffee is strong with a refreshing mint taste. I thought I would make my own version at home and share it with you. That way you don’t have to make that early morning coffee run. The thing with me and coffee is that we have kind of a complicated relationship. I love the taste of coffee, but the caffeine in coffee gives me a major headache if I have too much of it at once. But I’ll always order a cup from Starbucks or some small local cafe just to try a new drink or an old favorite. As long as I drink it slowly and not overdo it, I’m usually fine. 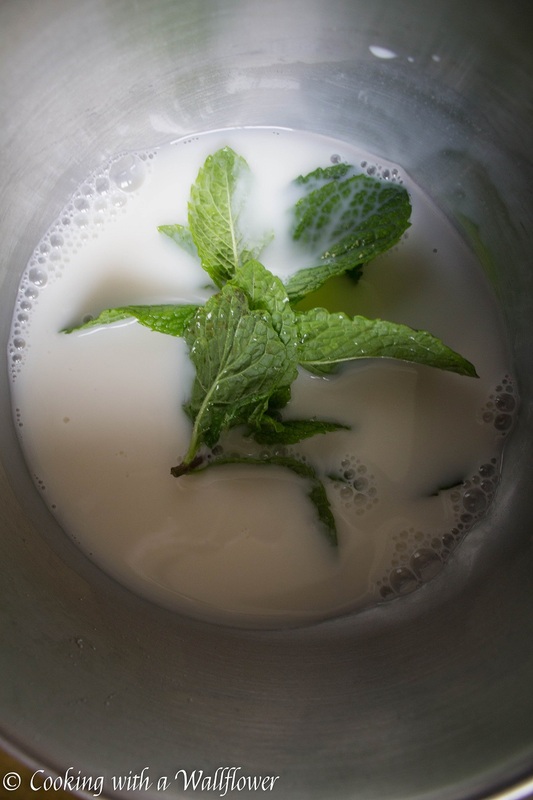 In a small pot, pour in almond milk then add maple syrup and fresh mint leaves. Turn the heat on to medium high and bring the almond milk to a simmer. Let the mint almond milk simmer for about 5 minutes. Turn off the heat, and let the mint almond milk sit for about 5 minutes. Discard the mint leaves. 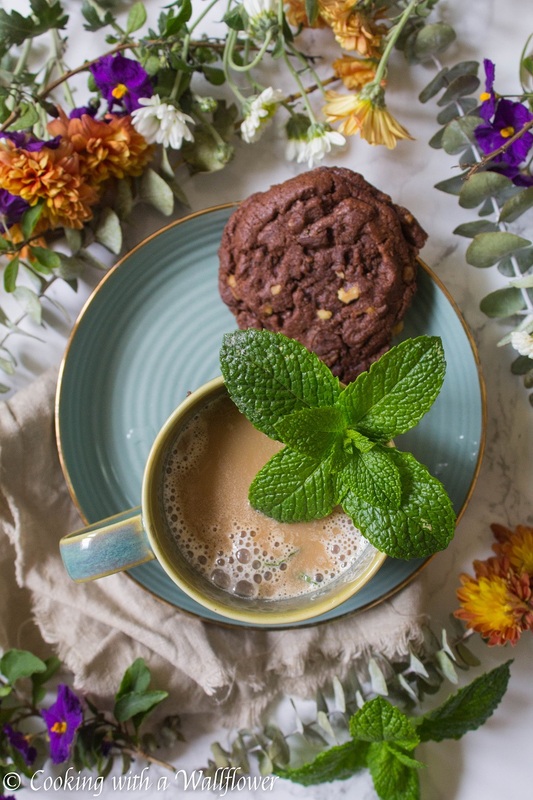 Pour the mint almond milk into a mug and top with strongly brewed coffee or espresso. 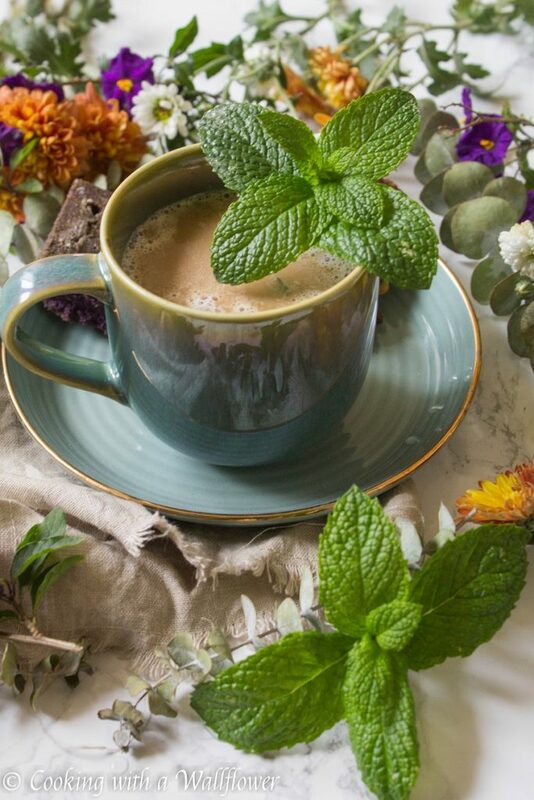 Serve the mint mojito latte garnished with fresh mint leaves. 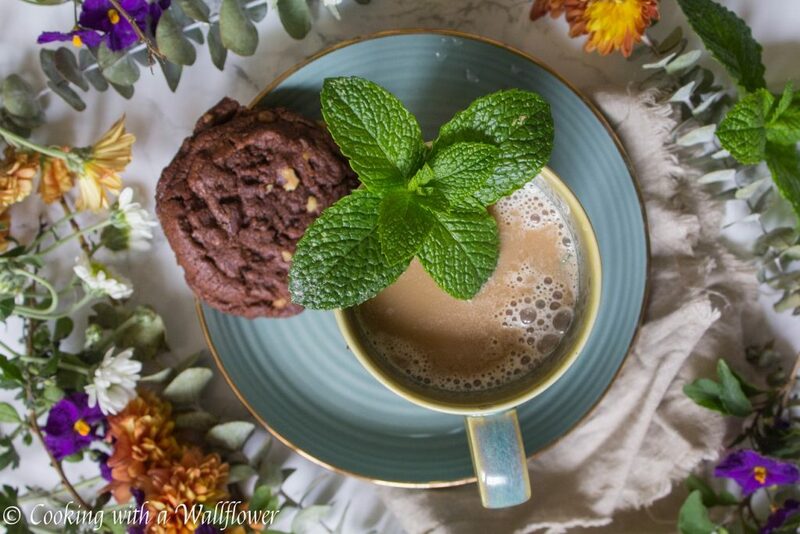 This entry was posted in Beverages, Farmer's Market, Gluten Free, Healthy, Quick and Easy, Recipes, Vegan, Vegetarian, Winter Cravings and tagged beverage, coffee, gluten free, latte, quick and easy, vegan. This is on my list! Ty! Just tried this out – really nice flavor! A bit like a peppermint mocha latte minus the mocha. A refreshing change to the usual latte with a crisp mint taste. I’m looking forward to trying this. Sounds yummy!